Posts tagged "yacht name meaning"
Why is the bow flat? 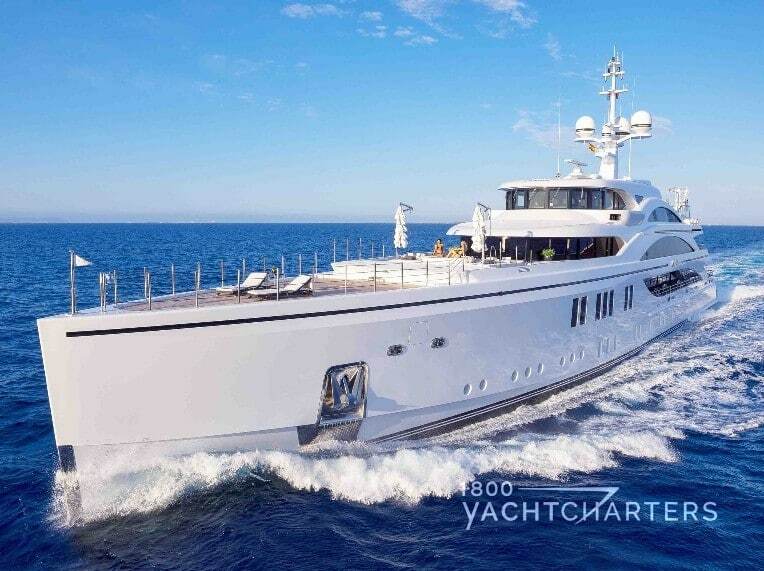 The award-wining yacht (she took home top honors at the 2016 World Superyacht Awards as Best Displacement motor yacht of 500 GT to 1,299 GT) with the cute name and unique look, accommodates up to 12 private luxury yacht charter guests. Her layout boasts not one, but two owner suites – a full beam cabin on the main deck, as well as a second on the upper deck. This beautiful yacht is a frequent visitor to our home town of Miami, and is available for Bahamas yacht charters in the winter and spring. In the summer, her 16-member crew takes her across the pond to the Mediterranean, where she is available for charters in Italy and France. Now that her owner has secured a Spanish charter license, the yacht can also offer charters in the Balearic Islands (e.g. Palma, Ibiza, Majorca, Menorca, et al). Her weekly charter rate is €650,000 plus running expenses. For further information, click HERE.